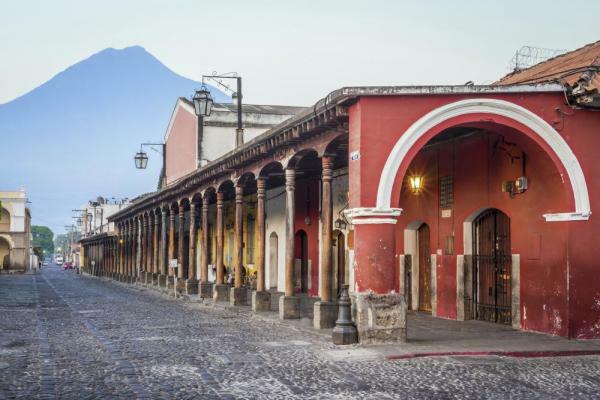 This cultural Guatemala travel adventure begins with a visit to the busy, colorful markets of Antigua. 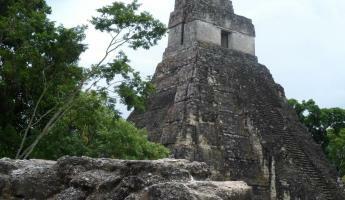 Spend a day with a local Maya family and allow them to introduce you to their culture and beautiful country. Take a trip to serene Lake Atitlan and explore its volcano-fringed shoreline. Your final days are spent visiting the workshops of local artisans, and markets deeper into the highlands. Immerse yourself in Maya culture and create friendships that will last long after your Guatemala travel adventures are over. 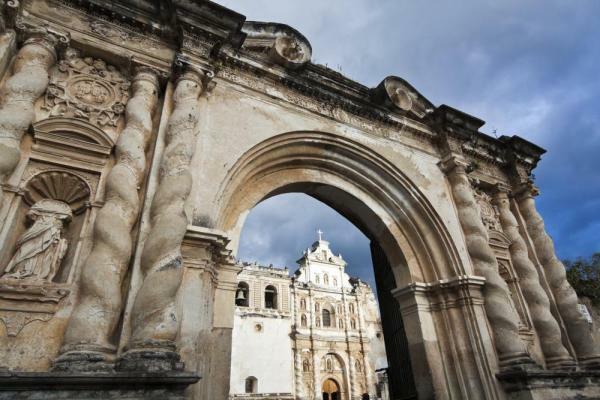 Arrive at the Guatemala City airport and transfer with your guide to Antigua. Settle in to your hotel and relax in the evening. In the morning, set out to visit the local villages which surround Antigua and earn about the local culture and history of the country. Drive up to the mountain town of Santa Maria, where many women still wear the traditional Mayan dress, then venture down into the towns of San Pedro and Ciudad Vieja to visit colonial sights before reaching the town of San Antonio. Visit a women's textile cooperative to view how the beautiful and intricate Guatemalan textiles are made. Along the way, stop at a Macadamia nut farm, and enjoy the opportunity to try a variety of products produced from the nuts. 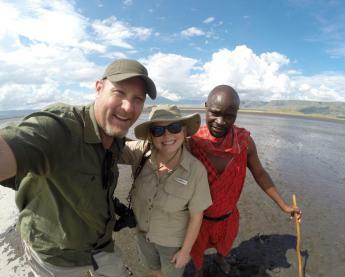 On this day, the tour is flexible, and guests should feel free to let their guides know if there are specific places they would like to visit. 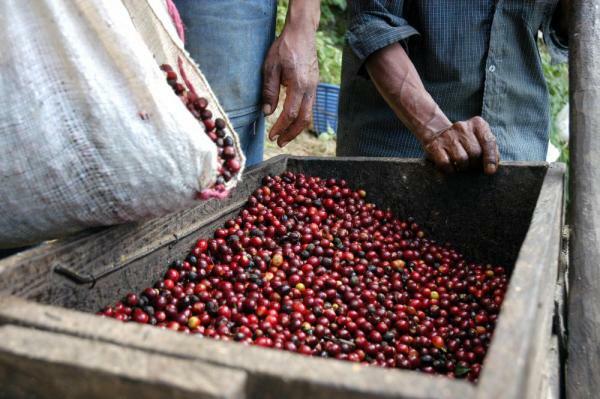 De La Gente (DLG) is a charity working to support small independent coffee producers and promoting environmentally responsible agriculture in Guatemala. This tour takes you to visit some of the families supported by this organisation where they can work side-by-side with small coffee farmers in their daily coffee processing, pick, pulp, ferment, wash, dry, trilla, sort, and grade the coffee (depending on the season), roast coffee over an open fire and grind by hand on a grindstone before sampling their handiwork. Coffee Season is November to March. After the coffee tour you will have a simple, traditional meal in a local home before transferring to a different area of the village to meet Angelica Gonzalez who will teach the textile bag workshop. Angelica Gonzalez, a seamstress from the village of San Miguel Escobar, will tell the story of her rapidly growing burlap tote business. She'll demonstrate the techniques of her craft and help you make your own tote. Meet your driver at your hotel to transfer to the town of Comalapa (approximately 1 hour). Upon arrival, view the famous painted mural which the school children of the town painted to depict major events in Guatemala's history up to the signing of the peace accords in 1996. Visit several local painters who continue the tradition of naïve paintings that the town is so famous for. Finally, visit the wonderful authentic market of Comalapa to see the local people go about their daily life buying produce and goods for the rest of the week still dressed in the traditional textiles of the area. You may also choose to visit the small museum dedicated to the composer who wrote Guatemala's national anthem who came from Comalapa. Lunch is included before continuing to Quetzaltenango. Simply called Xela (shell-ah) for short, Quetzaltenango feels less like Guatemala's second-largest city and more like a university town, owing to its myriad colleges, universities, and Spanish language schools. It's home to a colonial-modern mix of cobblestone streets, pastel-hued houses, and busy street markets, as well as coffee shops, bars, glitzy malls, and restaurants. Its historic zone, with its impressive park and a border of stately buildings, is worth a look. About 124 miles (200 km) from the capital, Xela sits in a rugged, agricultural valley that's dotted by a handful of K'iche' Maya villages; visit San Francisco El Alto's bustling Friday market to see the livestock for sale. 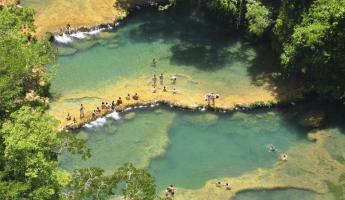 Just outside the city, you'll also find hot springs and volcanoes. No matter your itinerary, keep in mind that Xela is a highland city and gets chilly at night. Bring a sweater. In the morning, drive from Quetzaltenango to the small towns of Almolonga and Zunil and the Fuentes Georginas natural hot springs. Just a ten-minute drive outside of Quetzaltenango, Almolonga is known as "the garden of Central America". Renowned for the gorgeous carrots, radishes, cabbages, and other vegetables, it exports much of its produce to El Salvador. 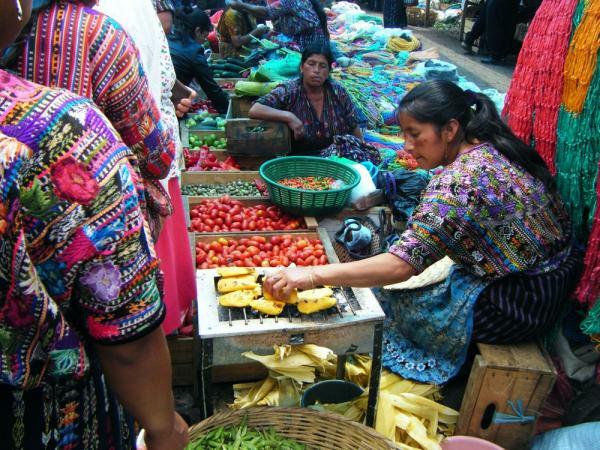 Visit the town’s bustling produce market to check out the veggies and the local ropa típica (traditional dress), which is about as vibrantly colored as the produce on display. Visit Zunil, another agricultural town just a short drive from Almolonga. Located in a beautiful, fertile valley flanked by mountains, Zunil is one of a handful of Guatemalan towns that still worships Maximón, an idol to whom locals offer gifts of cigarettes, alcohol, and colorful candles. His effigy is housed by a different member of the local cofradía (religious brotherhood) each year. While in Zunil, visit Maximón as well as the town’s striking Catholic Church, the local cemetery, and a weaving cooperative where items like huipiles (elaborately embroidered women’s tunics) are made. After lunch, take the scenic route along the slopes of Zunil volcano (the views of nearby Santa María volcano are amazing) to Fuentes Georginas, a handful of pools fed naturally by hot sulfur. 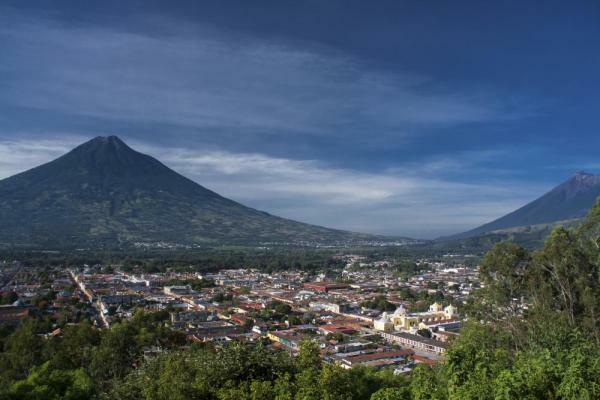 Leave Totonicapán for Quetzaltenango, stopping along the way in the picturesque town of San Andrés Xecul. A 45-minute drive from Totonicapán, San Andrés Xecul is best known for its unusual church. Painted a vibrant yellow, it has a façade depicting saints, animals, vines, and flowers; there’s no other church in Guatemala quite like it. After visiting the church, walk up through town to a smaller, less ornate replica of the church, alongside of which you’ll find ceremonial grounds where locals perform Mayan rituals. From here, enjoy a spectacular view of the surrounding valley and pine forests. Continue to Quetzaltenango, a one-hour drive away, and transfer to Totonicapan. Located deep in the beautiful Maya highlands, a local guide will help you discover a variety of the handicrafts for which this region of Totonicapan is so well known. Stops along the way may include a visit with Don Miguel Hernández, who uses giant wood looms to make lovely, colourful textiles, or to a ceramics workshop where clay plates are handcrafted on pottery wheels and crushed glass is used to make lead-free paint. You may also visit a local family who produces boxes for traditional sweets sold in markets. Lunch takes place in a local house and is accompanied by a marimba and folkloric dance performance. Get an early morning start for Huehuetenango, approximately a three hour drive from Quetzaltenango. 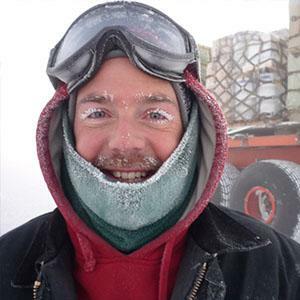 On the way, stop at the chilly, highland town of San Francisco El Alto. On Fridays, the town hosts one of the largest and most authentic markets in Guatemala and is particularly well known for the array of livestock that it sells. Please note that it can be somewhat unsettling, as animals are not always cared for according to Western standards.You can also visit the town’s church and check out the myriad textiles on offer. You’ll see everything from traditional fabrics and second-hand offerings to giant bolts of cloth and baskets full of thread. When you’re ready to leave, you’ll continue to Huehuetenango. If giant mountains, steep ravines, and coffee-covered hillsides sound enticing, you're bound to enjoy Huehuetenango, one of Guatemala's westernmost departments. Home to the highest peaks of the Sierra de los Cuchumatanes (the tallest mountain range in Central America), Huehue, as it is known, (pronounce it way-way), is known less for its eponymous capital--which, to its credit, does have a busy indigenous market and some striking mountain views--as it is for its unique villages, natural attractions, and coffee (which is considered to be some of Guatemala's finest). One of Huehue's most interesting spots is Todos Santos, a chilly, isolated Mam Maya town famous for its colorful customs and clothing. A highlight of Huehue's many natural attractions includes the Laguna Magdalena, a remote lake with beautiful emerald waters. In the morning, take a scenic, three-hour drive deep into the Cuchumatanes mountains of Huehuetenango to visit Todos Santos, a Mam Mayan town located 2,500 meters (about 8,100 feet) above sea level. 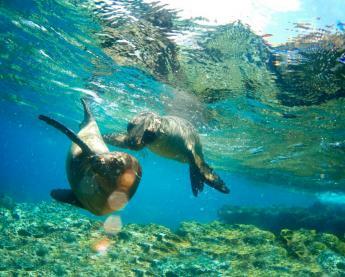 Todos Santos’ isolation has helped it maintain many of its traditional customs. Ropa típica (typical clothing) is the norm, with men donning the most striking outfits’ think red-and-white striped pants, striped shirts with embroidered collars, and straw hats; women wear vibrant purple huipiles (embroidered tunics). On Saturdays, you’ll find a lively market with produce and regional handicrafts. In addition to its reputation for being traditional, Todos Santos is also well known for the festivities it hosts on and around All Saints Day (“Todos Santos” translates to “all saints”); a highlight is the horse race that takes place on November 1st. 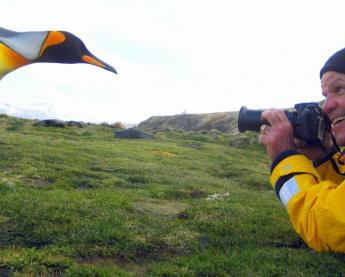 Please note that while todosanteros (as they call themselves) are quite friendly, they do not allow visitors to take photographs. Located in the Cuchumatanes mountains, the town of Nebaj is part of the Ixil Triangle, an isolated but stunning part of the country which also includes the villages of San Juan Cotzal and Chajul, as well as a handful of outlying hamlets. A region that once felt the full force of the Guatemalan civil war, Nebaj and the Ixil Triangle are quiet destinations today where locals still adhere to traditional ways of life. Most men are farmers, while most women are weavers. Ixil, the local Mayan dialect, is the primary language spoken. Nebaj is the Ixil Triangle's largest town. Based in a spectacular valley--with great views and hiking--it comprises quaint homes, cobblestone streets, a pretty, whitewashed church, and a backdrop of towering mountains. 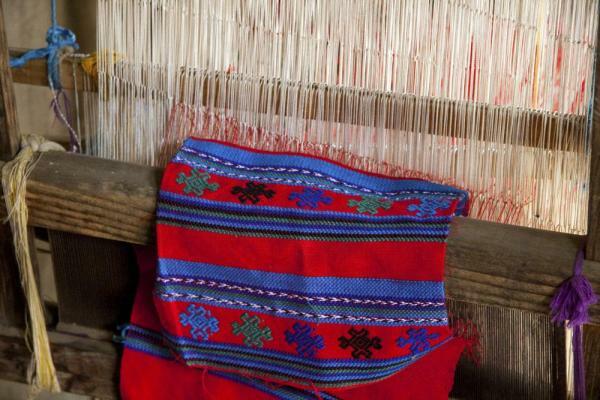 Be sure to check out the local weavings sold in stalls near the church; Nebaj produces incredible textiles. Explore the villages of the Ixil Triangle. Located in the Cuchumatanes mountains, in the department of Quiché, the Ixil Triangle is an isolated but stunning part of Guatemala that comprises the towns of Nebaj, San Juan Cotzal, and Chajul, as well as a handful of outlying hamlets. A region that once felt the full force of the Guatemalan civil war, the Ixil Triangle is a quiet destination today where locals still adhere to traditional ways of life. Most men are farmers, most women are weavers, and typical dress is common. You’ll visit local churches, plazas, and markets and get a close-up look at local life. (Listen out for Ixil, the region’s Mayan dialect.) Be prepared for scenic views and a backdrop of towering mountains. Some moderate hiking may be included. Sololá is on a mountainside overlooking Lake Atitlán, some 600 meters below. It is a highland market center and is the headquarters for the Catholic Bishopric encompassing Sololá and Chimaltenango Departments. Nearby, two kilometers before one reaches town, there is an extension of the University Del Valle. The campus was converted from a military base in 2000. Almost all residents of Sololá are Kaqchikel Mayas, except in Argueta, where most are K'iche' Mayas. 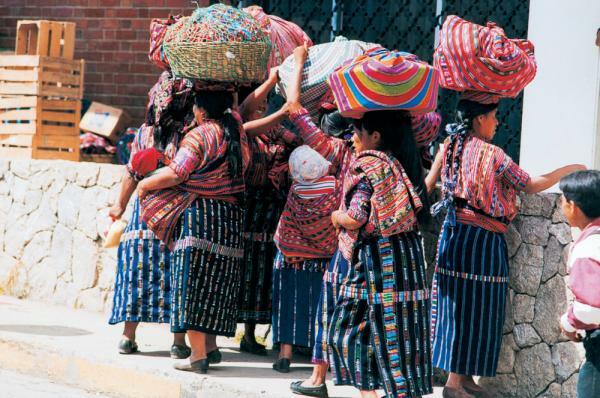 A large percentage of both men and women continue to wear traditional Mayan clothing. Surrounded by rugged hills, a trio of towering volcanoes, and a handful of small villages, it's easy to wax poetic about Lake Atitlán. Located in the Guatemalan highlands, the lake was formed more than 80,000 years ago during a violent volcanic eruption. Tz'utujil and Kaqchiquel Mayas have plied its shores for centuries and continue to do so today, wearing vibrant traditional clothing and practicing age-old Maya customs, particularly in towns like Santiago Atitlán and Santa Catarina Palopó. Panajachel is the lake's main hub. From here, boats depart regularly for destinations like San Juan La Laguna, which is known for its hand-woven, naturally dyed textiles, and San Pedro, where intrepid visitors can summit a 9,908-foot volcano. The area offers great opportunities to kayak, bike, and zip-line. In the morning, transfer to San Juan La Laguna Village and visit a local textile cooperative to see the back strap loom in use. Visit the home and workshop of local naïf painters before boarding the boat to Santiago Village for lunch. 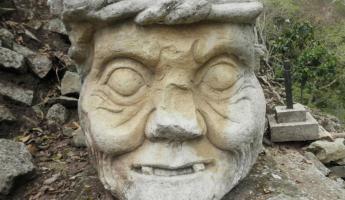 After lunch, walk to the house where the Maya God Maximon is living. Each year a different "brotherhood" has the privilege of taking care of their God, so his location changes. Once with Maximon, you may see local shaman performing rituals for local people and if you wish you can ask your guide to help you hire the services of a shaman for you to have a personal ceremony performed. Visit the local church and learn about the history of this very traditional town and also see the market and learn about the distinctive textiles and primitive art that is famous from this area. Transfer back to your hotel when you prefer. In the morning, transfer out to the highland town of Chichicastenango. Along the way, pass through the central highland region and view the local Maya people in their traditional dress going about their daily lives - working in the fields, collecting firewood, traveling between markets, selling their wares. Upon arrival at Chichicastenango, explore this famous market escorted by your driver. Both the local areas of the fruit & vegetables & everyday items as well as the craft area, where you can find endless variety of beautiful textile, wooden & ceramic crafts. Visit the famous St Tomas Church where local Maya people come to perform Maya rituals within the Catholic church - demonstrating the interesting way the two faiths have combined in recent times. Hike up the hill to the Pascual Abaj ritual site to see if any local shaman are performing rituals and/or to the cemetery on the outskirts of town. When you are ready, transfer back to Antigua. In the morning, enjoy one last breakfast before transferring to the airport for your continued journeys. Hotel Pension Bonifaz was originally built in 1935 and today maintains their history with 75 rooms, all equipped with private bathrooms. Located across from the central park, it offers convenience and comfort while in Quatzaltenango. Truly an unforgettable experience, share a communal evening and overnight in the hospitality of the Guatemalan people. 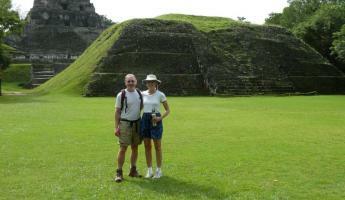 Experience first hand the rich culture of living history in the highlands of fascinating Guatemala.